Would you like to meet with VoicePlus at Gartner Symposium 2018 ? "Everything you need for a world-class IT strategy in one place, at one time" is how global research consultancy, Gartner, describes its 2018 Symposium and VoicePlus will be there to exhibit its Atrium Managed Mobility solution. Would you like to meet up with VoicePlus at Gartner Symposium? We are attending the Gartner Symposium in the Gold Coast, from October 30 to November 2, to experience four days of insights and learning, and to exhibit at ITXpo. We will be presenting on the hour from Booth SV4. 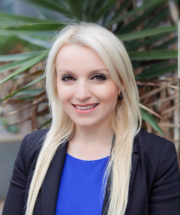 Swing by to learn about the latest in managed mobility or book a meeting with Anna for a demonstration of our SaaS Atrium Managed Mobility solution and TEMS optimisation. VoicePlus is Australia's leading managed mobility service provider. Atrium MMS has a proven track record across Australian enterprise including Coca-Cola Amatil, KONE Elevators, Compass Group, CNH Industrial, Weir Minerals, and Penske. The Atrium MMS product was developed by VoicePlus in collaboration with foundation customer, Coca-Cola Amatil. CCA adopted Atrium MMS in 2013 after trialling it for six months. One year later VoicePlus was named CCA Supplier of the Year for IT&T after achieving mobility savings in excess of AUD$1million for CCA. In 2018 we celebrated 5 years of innovation with CCA. 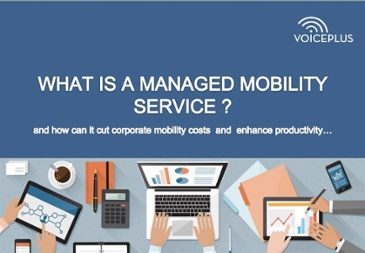 eBook: What is a Managed Mobility Service MMS?